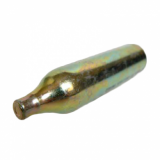 CO2 cartridges and accessories for paintball and pellet guns. 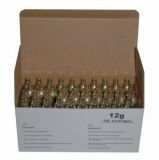 If you have a gun which takes a refillable bottle then with our adapter you can use our disposable 88g cartridges. 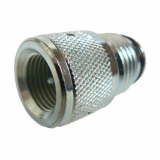 In combination with this adapter, the paintball and CO2 gun cartridges will fit guns which take a re-fillable cylinder. It will also fit some guns which take the Crosman or Airsource cartridges, however we have found some issues with it not fitting some of these guns due to our cartridge having 3 less threads.